Hang this Skeleton Frame Wall Decoration as a Halloween decoration or use it for every day. Resin decoration features a silver framed skeleton with attached wall hanger. Open back allows you to glue a photo or colored paper to give the picture a background if you would prefer. 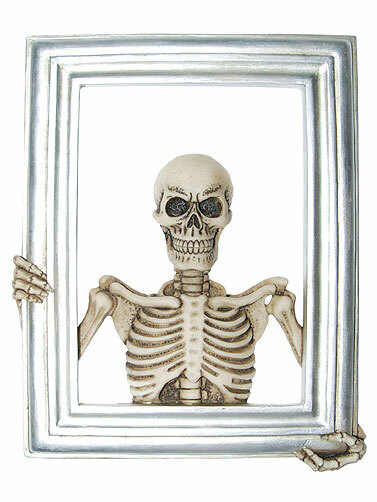 Skeleton Frame Wall Decoration measures 9.25"H x 7.5"W.